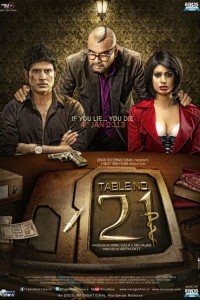 In the Bollywood film Table 21, a couple live a mediocre life and are thrilled to have won an exotic vacation to Fiji and their excitement increases when they get a chance to play “Tell All Truth” game for a mind boggling prize money. The game begins and the couple discovers that the game isn’t really a game, but is a winner take all test of their of survival. If you lie, you die. Stay tuned for details about the plot of Prometheus 2, which stars Michael Fassbender and Noomi Rapace. .